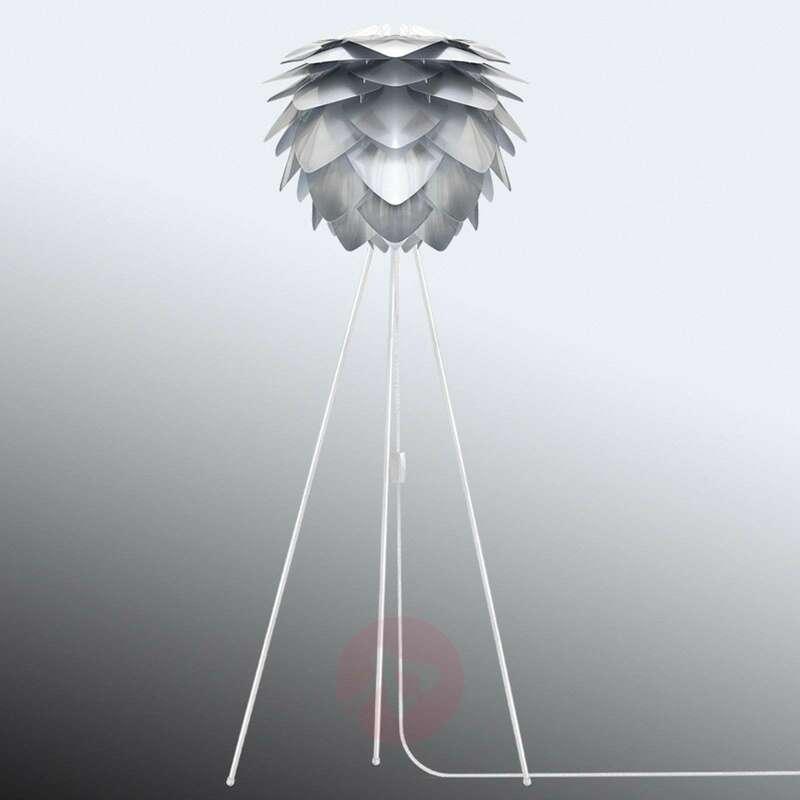 The floor lamp Silvia medium, which has a lampshade consisting of triangular leaves made of unbreakable plastic, is surrounded by an exotic flair. The overlapping arrangement of the leaves gives the impression that you have an attractive plant in front of you. The lampshade design produces a very atmospheric light which is emitted upwards, downwards and through the gaps between the elements. The lampshade with a brushed steel finish is a creation of the Vita design team. The easy to install frame with three legs was designed by the Danish designer Søren Ravn Christensen. In the centre, beneath the light bulb socket, the 300 cm long power cable is attached, which is an important element of the visual design. Silvia medium - a floor lamp which leaves nothing to be desired functionally and in terms of the design, and an example of the varied lighting designs of the company UMAGE from Denmark, which focuses on the further development of Scandinavian design.